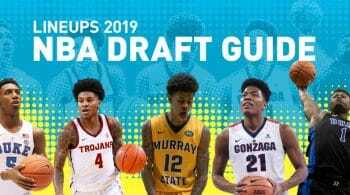 Charlotte has hung onto their draft picks the last few years, creating an abundance of young depth that they are not quite sure on for the future. Kemba Walker is still the centerpiece of this offense, starting at point guard, while Jeremy Lamb steps in alongside him. Lamb has not been a starter often during his time in the league, and is finally getting the change to play alongside Kemba, however Malik Monk is starting to shine off the bench. Nicolas Batum continues to start at the three, although that might not last that much longer. Batum has been trending downwards, and his play is starting to be shadowed by some of their youth. Charlotte have one of the more limited front courts in the game, starting Marvin Williams at power forward and Cody Zeller at center. The loss of Dwight Howard left a big hole to hill, and they decided to stick with internal pieces during the offseason. Charlotte is in a struggling spot for the future, and have been basically having tryouts for rookies when drafted. They traded Dwight Howard to the Nets, which leaves some mediocre bigs in play this season. Cody Zeller, Bismack Biyombo, and Willy Hernangomez are going to draw some minutes, and it is unlikely one comes away with true starter minutes. Biyombo is more known for his rim protection, while Zeller and Hernangomez can have some offensive role. Their skill sets are a bit thin for the modern NBA center. Marvin Williams and Frank Kaminsky are average power forwards that can stretch the floor. Williams’ fantasy production has been subpar since joining the league, while Kaminksy has more of an outside shot to put up production when he gets hot. Kaminsky is looking like a young Ryan Anderson, which is likely not a compliment. Charlotte drafted Miles Bridges, who sits behind Jeremy Lamb and Michael Kidd-Gilchrist currently. Bridges is a young player with a lot of upside on both sides of the ball. With Lamb and MKG not being promising building blocks of the future, it would make sense for Bridges to be thrown into the fire. Lamb has been a fantasy value that thrives when Nicolas Batum is injured, which has been a fair amount over the last few seasons. When Batum is healthy, the contribution is not bad. He rebounds and can ball-handle well, providing triple-double upside on some nights. Malik Monk and Treveon Graham sit behind for depth, and Monk was someone who gained more minutes towards the end of the year, but at point guard. Kemba Walker was trade bait last season, but is still in Charlotte and is their leading usage player. Charlotte did sign Tony Parker who will be an on and off minutes getter, but at his age won’t have a massive role.